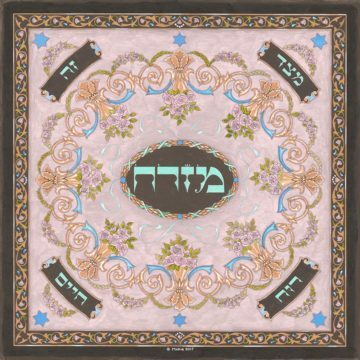 The Mizrach Wall Art is a custom, individually produced giclée print offered in several different choices of colors, sizes, medium and finishes. 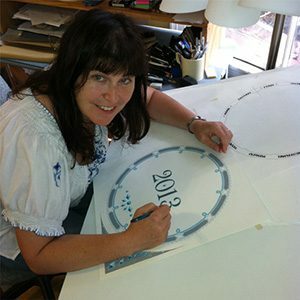 The Custom Giclée Mizrach Wall Art original design by artist Mickie Caspi features the word Mizrach – מזרח. 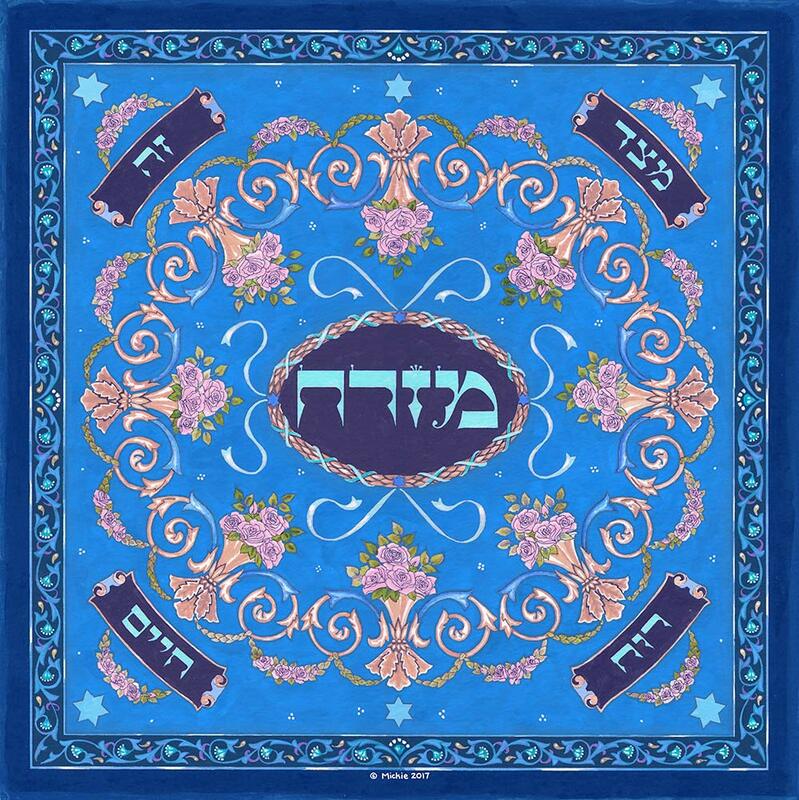 Mizrach is the Hebrew word for “east” the direction of the the rising sun. It is the direction that Jews in the Diaspora face during prayer. Jewish law prescribes that Jews face the site of the Temple in Jerusalem during prayer. The word “mizrach” also refers to the eastern wall of the synagogue, where the holy ark is situated and seats are reserved for the rabbi, and other dignitaries. 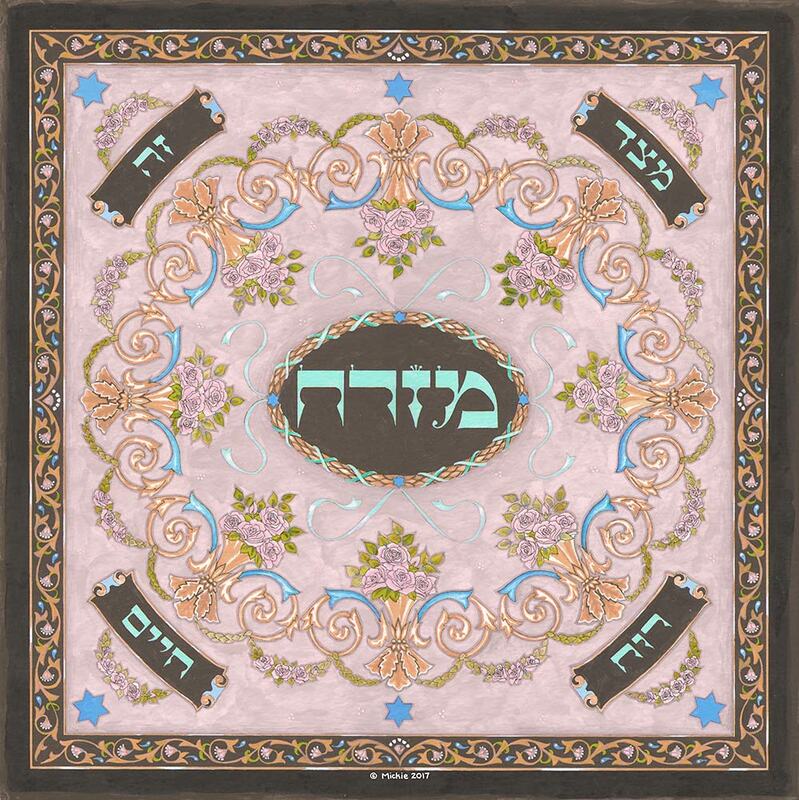 Over the centuries the “mizrach” has evolved into beautiful pieces of art that many Jews use to adorn the eastern wall of their homes to indicate the direction of prayer. 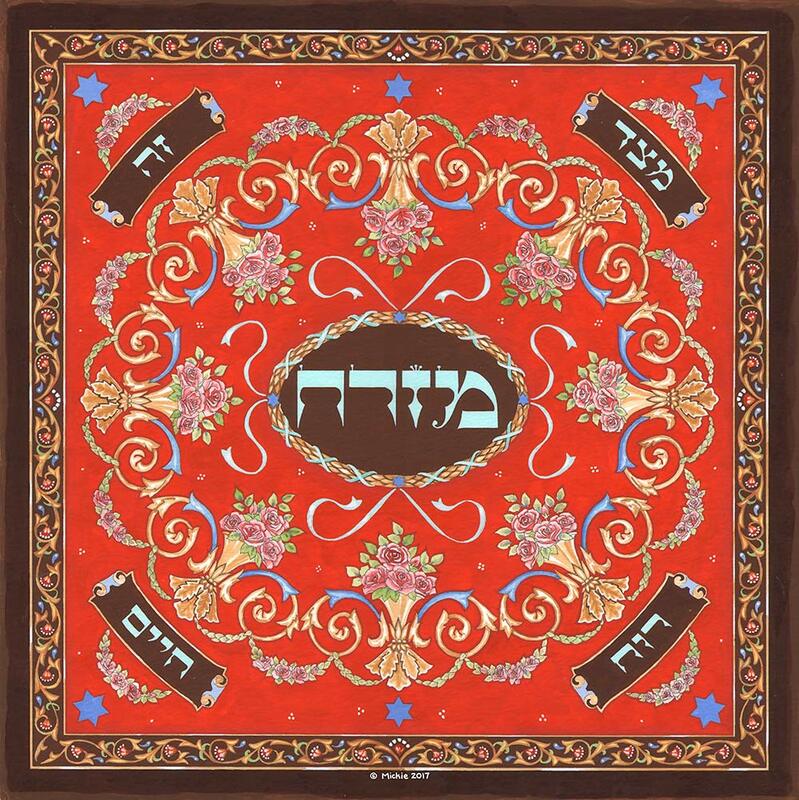 The Hebrew word MIZRACH is in the center of this piece. 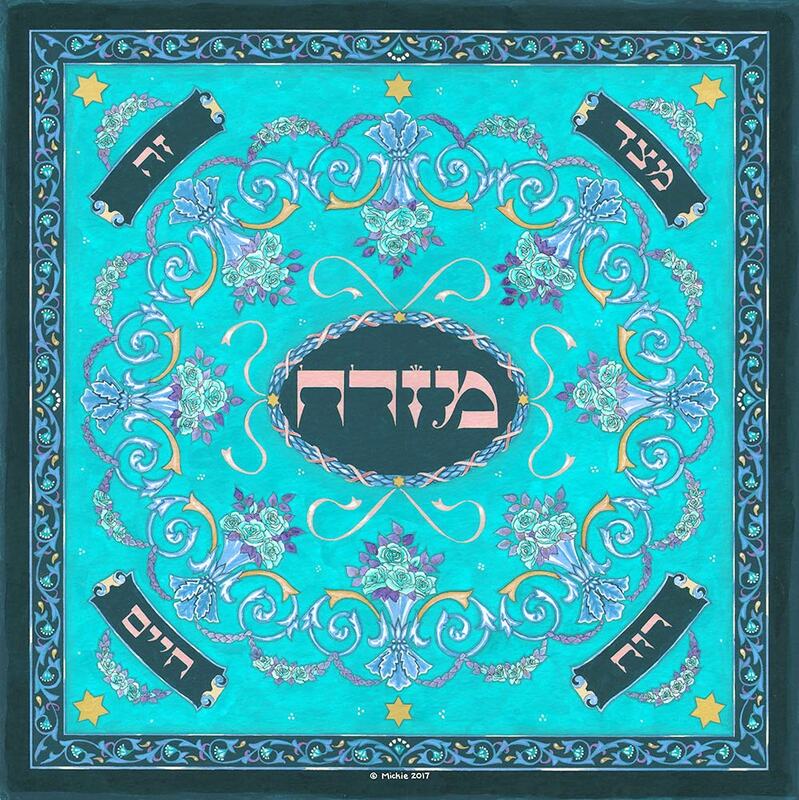 At each corner of the piece are the Hebrew words “M’TSAD ZE RUACH CHAYIM”, translating to “From This Direction Comes The Spirit Of Life”. This is an excellent housewarming gift, wedding gift, anniversary gift, or simply a lovely work of art to hang in your own home.